Alison Forbes is one of Australia’s most awarded book designers. Born in Melbourne, and educated at Camberwell Grammar, she initially wanted to be a portrait painter when she began studying at Melbourne Technical College (later to become RMIT) in the 1950s. Within two weeks she had abandoned that plan and swapped to illustration and book design. Frank Eyre from Oxford visited the school and gave Forbes a picture of what the world of book publishing offered – she was hooked. Upon graduation in 1953 she found work at The Herald where she stayed for five years, ‘drawing happy housewives taking casseroles out of ovens and funny ones of not-so-happy housewives taking unsuccessful casseroles out of ovens’. Despite tasks like this, working under the guidance of Roy Hodgkinson, alongside members of his talented newspaper team proved a valuable formative experience. She began undertaking freelance illustration and book design after hours whilst at The Herald, working for Andrew Fabinyi of the iconic publisher Cheshires, Gwyn James of Melbourne University Press and Frank Eyre. ‘By 1956 I was able to persuade MUP that I knew more about book design than I really did and so I was taken on there three days a week, doing freelance work the other two days, a marvellous combination’. For the next six years, Forbes learned her trade, building a formidable portfolio of work which gave her sufficient confidence to enter the next phase of her development as a book designer. In 1963, Forbes set sale for London, eager to broaden her experience in one of the world’s publishing centres. She worked on the staff of two London firms, the large Associated Book Publishers and the Rupert Hart-Davis, a smaller concern. She stayed a year at each publisher, gaining valuable insight into all aspects of the business, from design through to managing production. She also enjoyed the collaborative aspect of her time in London, exchanging ideas and sharing problems, something that had not occurred in her homeland. Whilst in London, Forbes received the first major accolade of her career, a Transfield award for Remembering with Affection by Alexandra Hasluck. A letter from Frank Eyre suggesting that Australian publishing was beginning to percolate was the prod she needed to return home. Setting foot back in Melbourne in 1967, she found a fertile environment, a perfect canvas for a talented and ambitious book-designer, battle-hardened by her London experience. 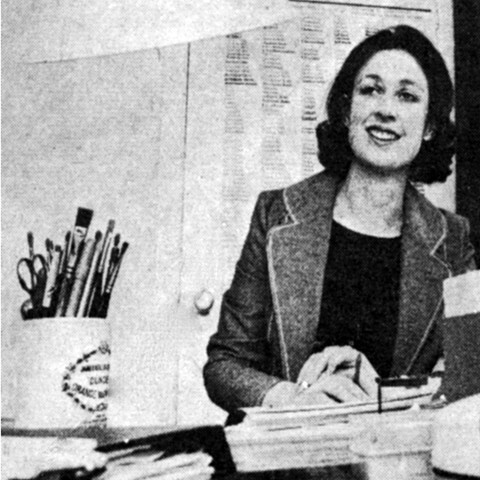 Forbes worked as a book designer for the next four decades, winning every award the publishing industry could bestow, including a special ‘Award of Honour’ given by the Australian Book Publishers Association ‘for her continued and outstanding contribution to Australian book design and production’. Some of the milestones Alison Forbes has designed include the first edition of Joan Lindsay’s Picnic at Hanging Rock, Robin Boyd’s The Australian Ugliness and the first Volume of Manning Clark’s History of Australia. Highlights of her many award-winning designs include John Cotton’s Birds of the Port Phillip District of NSW, 1843–1848 which won the Book of the Year in the 1974/75 Australian Publishers’ Association awards, and her superb collaboration with Max Harris The Land that Waited which won the 1968 Transfield Design Award in 1968. This text was sourced primarily from an article written by Pamela Ruskin which appeared in The Age, June 1976.